UPDATE: Netflix has picked up the film, according to Deadline! Catch it next year. 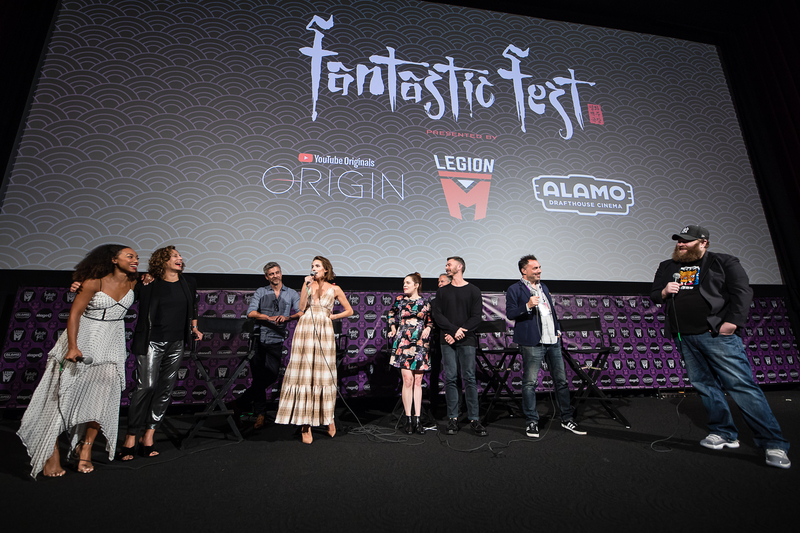 Having its world premiere at Fantastic Fest — at midnight, too! — is the spawn of The Handmaiden and Black Swan, only with the former’s Korea-Japan setting and latter’s competing ballerinas swapped out for U.S.A-China and dueling cellists. The ultra-insanity stays, though. The Perfection, the latest, globe-trotting and character-driven drama from director Richard Shepard (The Matador, Dom Hemingway) and photographed by Crazy Rich Asians’ Vanja Cernjul, sees a former student of a famous musical conservatory, Charlotte (Girls’ Allison Williams), encountering pure darkness when she meets the establishment’s current favorite, Lizzie (Dear White People’s Logan Browning). Also in the film are NCIS: New Orleans’ Steven Weber and Smallville’s Alaina Huffman. We got a chance to interview with Williams and Shepard, who stayed super-chill and prepared even if they didn’t get back to the hotel until 2:30 a.m. Warning: Mild spoilers and phrasing that enriches a swear jar are right ahead. Nguyen Le from InSession Film: Allison, your character Charlotte here undergoes many internal transformations not unlike Rose from Get Out. Do you find it easier or more difficult to execute them here after that film? Allison Williams: I think I learnt a lot about how to do this very specific kind of thing with Get Out. 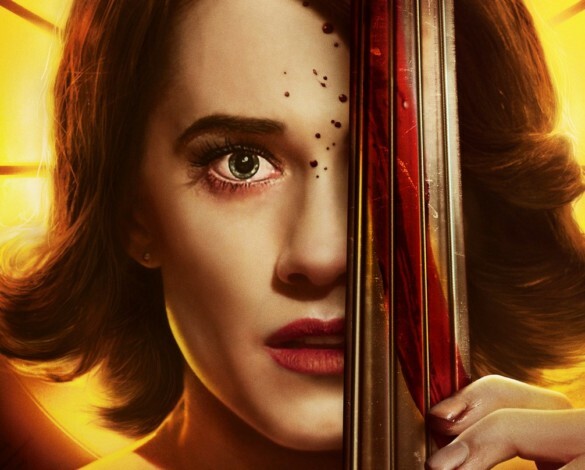 Like when you watch The Perfection again, hopefully like Get Out the performance will stand up to scrutiny once you know everything. Hopefully, it will all ring true in some way. Unlike Get Out, Charlotte was acting only to Lizzie (Browning) so that she could get her to a desired end, which is similar, however, it wasn’t as fully in it and method-y. She wasn’t as good at it as Rose was. And so trying to peel that back and really just play someone’s truth and hoped that it looked the same no matter what the motive is… for example someone who’s worried about their friend who’s really sick and hungover and trying to figure out a way to fix it is also gonna look kinda similar to someone who thinks she needs to make that person cut her hand off and is trying to figure out how to achieve that. One of the benefits of the script is that those motives kinda line up a little bit so visually it presents a very similar performance. RS: We did have a lot of deep convos before. NL: Richard Shepard, filmmaker/bus driver. NL: As for the Asian setting, was that chosen because there are possible parallels to be made to issues of shaming and perfectionism in the culture? RS: That’s a great question. AW: It was Mexico initially. AW: They were all acting the way we would act, probably. RS: She really shot seven days a week. It was incredible. AW: It was like split custody. [For Mondays and Tuesdays] I’d go to Lemony Snicket and then Wednesdays through Sundays go back to The Perfection. It was very whiplash-y. That’s why it moved to Vancouver and then trying to figure out what culture does Vancouver have that would also make sense as a home for the first part of this movie. We immediately thought of Shanghai just ‘cause it’s so visually evocative and, yeah, for the same thing Richard was talking about, whoever was on the bus needed to care more about the bus driver’s opinions of them, and just decorum in general, sort of bystander theory and stuff, than making sure this random — of course, throwing-up-and-being-super-loud couple of American girls — [are OK]. You know, behaving the ways Americans do when we travel. Classic behavior (laughs). RS: Yes. But I’m not going to tell you (laughs).